Submitted by rthomas on Mon, 04/20/2009 - 06:44. Since the first Clifford book was published in 1963, the property has expanded to include 129 million books in print and an Emmy® Award-winning television series – currently airing on its twelfth consecutive season on PBS KIDS in the United States; the show has been sold to 30 countries in 12 languages worldwide. 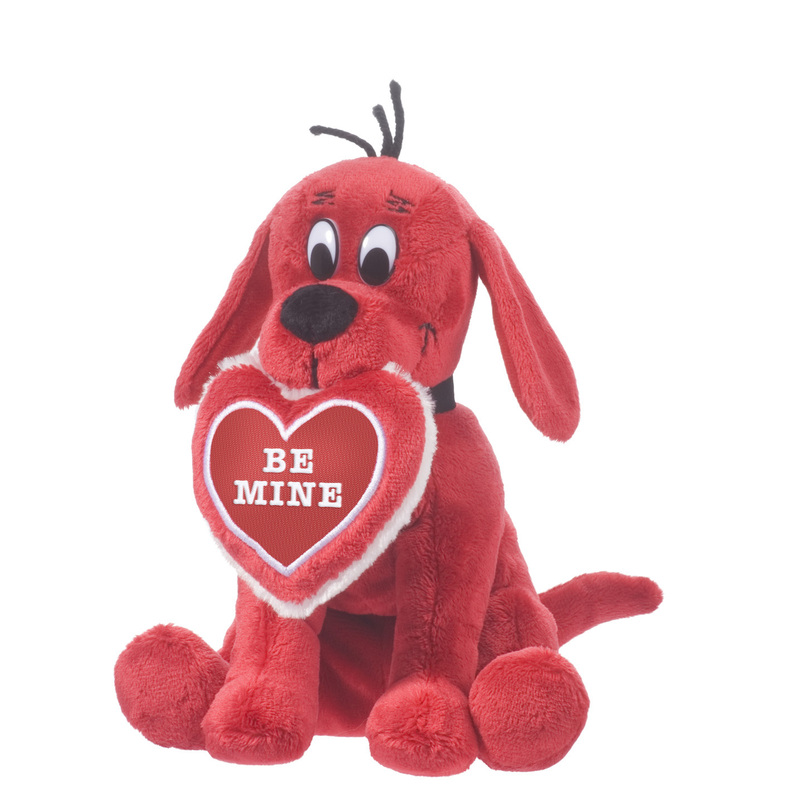 Netflix and Scholastic Send Kids and Families a BIG Red Valentine… Clifford the Big Red Dog®! 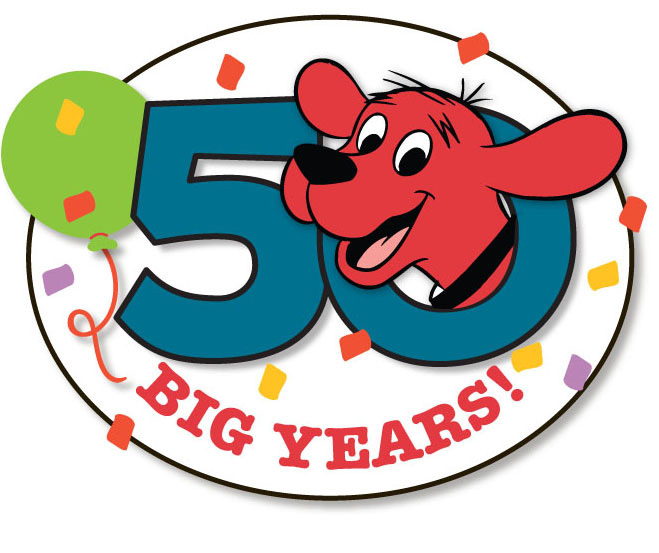 For more than 50 years, Clifford the Big Red Dog has been entertaining children, parents and teachers with his BIG adventures. In his beloved dog, Norman Bridwell created a literary classic embraced by generations around the world that has become one of America’s oldest and most beloved children’s characters. Clifford emphasizes good citizenship and the importance of community. 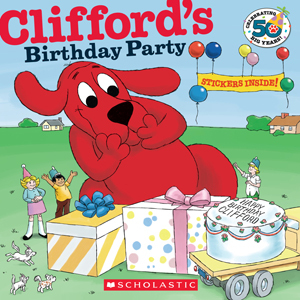 Through the character of Clifford, whose heart is as big as he is, children absorb gentle lessons about acceptance and inclusion through Clifford’s BIG Ideas (Share, Play Fair, Have Respect, Be Responsible, Work Together, Be Truthful, Be Kind, Believe in Yourself, Be A Good Friend and Help Others). It's Clifford's "every dog" kindness that has made him a beloved icon with children and parents for 50 years. 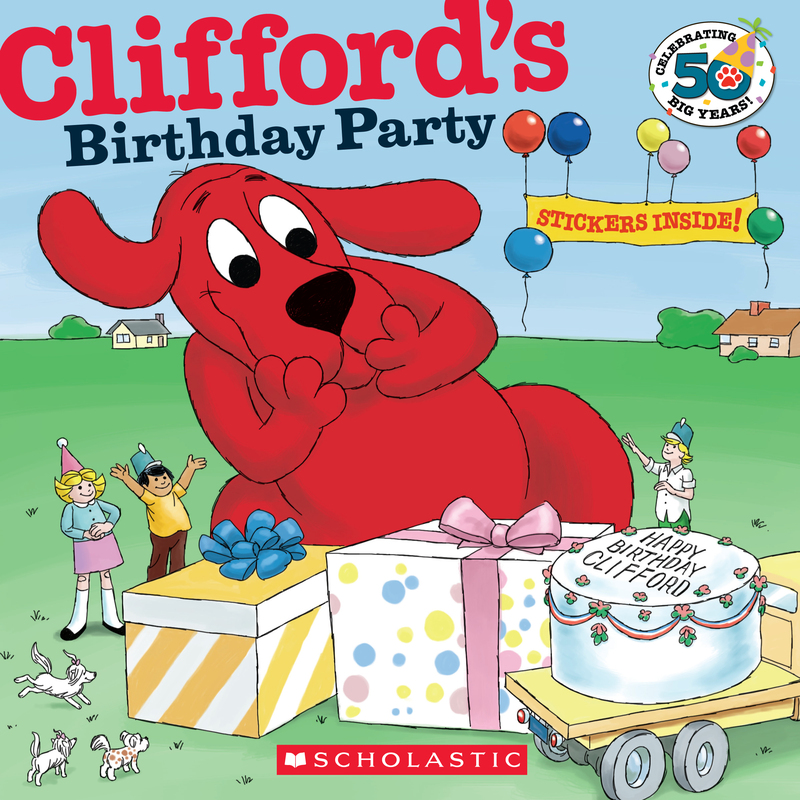 Regardless of the specific topic, Clifford's stories always demonstrate tolerance, encouraging young viewers to approach the world with open hearts and minds. 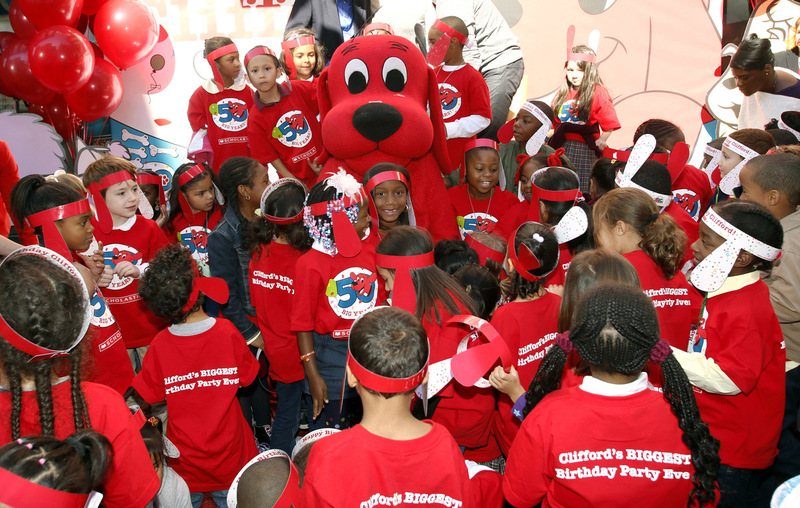 With more than 129 million books in print, Clifford is a literary classic embraced by parents, teachers, and kids. Clifford books are published in 13 languages, and are distributed in territories worldwide including Asia, Europe and Latin America. 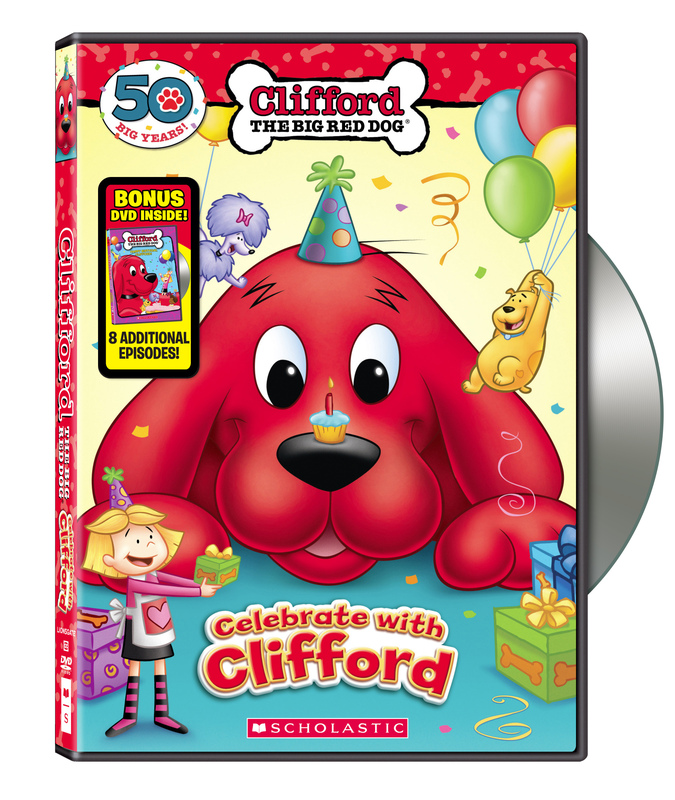 There are more than 50 unique Clifford titles—both picture books and readers—available on Storia, Scholastic’s eReading app. The animated television series, produced by Scholastic Media, is based on the books of the same name and uses classic storytelling to present universal social, emotional, and moral messages to young children. The fun-filled episodes follow Clifford and his pals (both canine and human) as they play, discover and interact with each other and the inhabitants of Birdwell Island (an homage to Norman Bridwell), learning that good friends are what life is all about. The stories are fun, gentle and kid-relatable —and deal with every-day issues that kids are experiencing. Most importantly, children learn that the world is out there to be discovered with gusto. The show currently is airing its 13th season on PBS KIDS (check local listings) with nearly 2,000 plays per week. A 'Clifford’s Rhyme Race' app is also available for LeapFrog’s App Center. 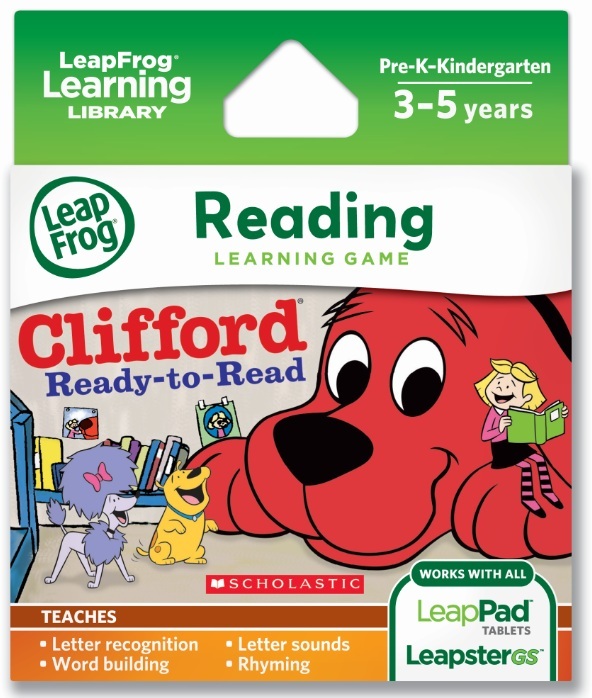 'Clifford Ready-to-Read' for LeapFrog's educational entertainment platforms was released in January of 2014. 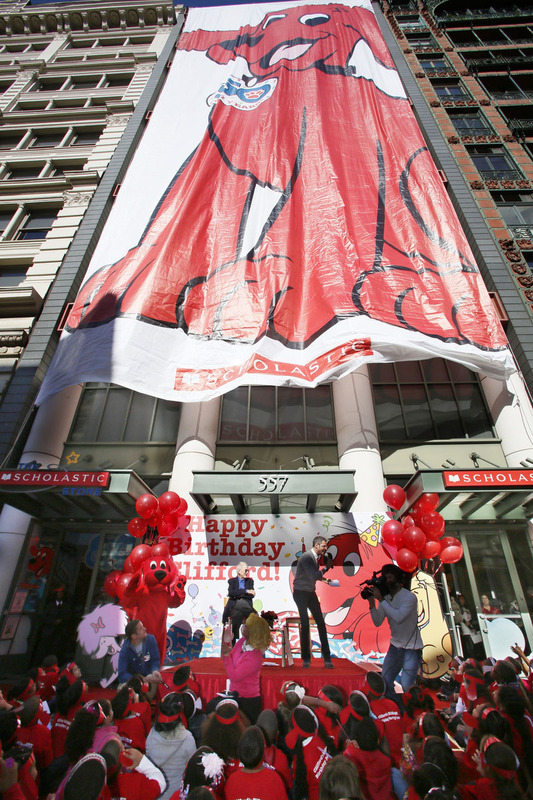 The official site is www.scholastic.com/clifford. 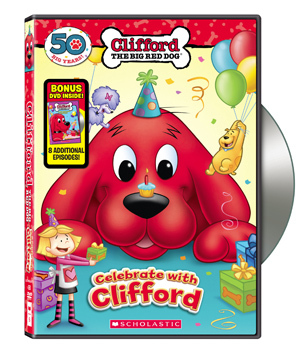 It's the dedicated resource for kids, parents and teachers for all things CLIFFORD! 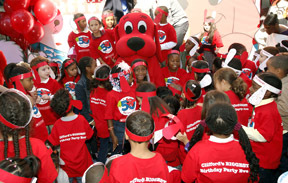 The Clifford The Big Red Dog website won a 2012 Interactive Media award; In the Kids category, the Clifford website was a best in class award winner! Current partners include DVDs from Lionsgate, plush toys from Douglas, educational toys from Smart Toys, science kits from The Young Scientists Club, coloring and activity books from Bendon, bookmarks from Andrews Blaine, and costumes from Rubies. BE BIG is a national campaign that invites everyone, big and small, to take action and raise awareness for how Clifford's Big Ideas can make the world a better place. The mission of BE BIG is to recognize and reward others for their BE BIG actions, to catalyze change in local communities and to provide resources for everyone to share Big Ideas! 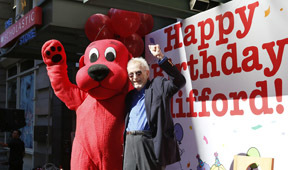 The Clifford television series earned numerous industry excellence awards including nine Daytime Emmy Award Nominations, two Cine Golden Eagle awards and a New York Film Festival Award. The Clifford Puppy Days series was a 2005 Daytime Emmy Award Winner and four-time Daytime Emmy Award Nominee. Most recently, the ‘Go, Clifford, Go! App’ was identified as one of the “Best Children’s Books on iPad” by The New York Times. 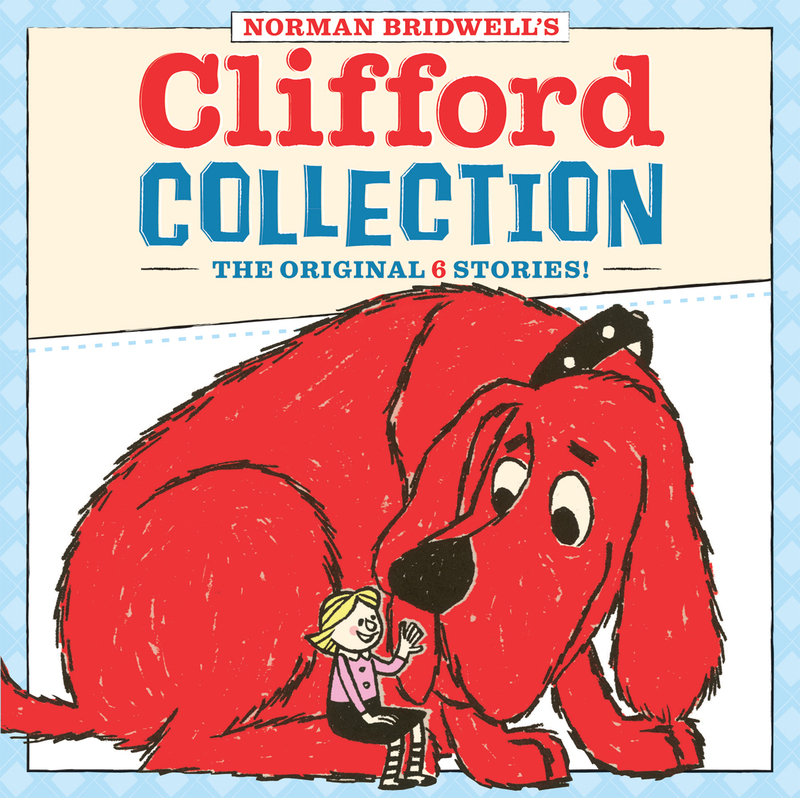 Clifford The Big Red Dog, by Norman Bridwell, was published by Scholastic. 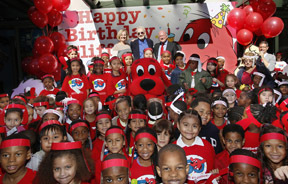 The Clifford The Big Red Dog TV Series premiered on PBS KIDS. 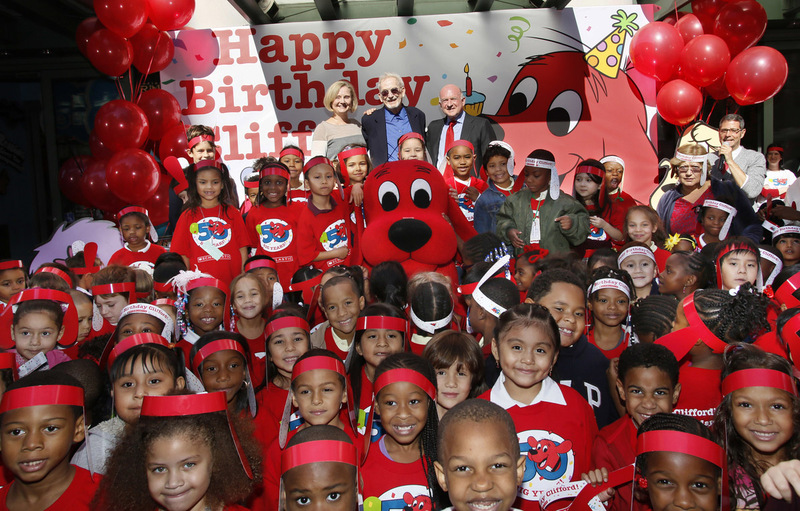 The Clifford’s Puppy Days TV Series premiered on PBS KIDS™. 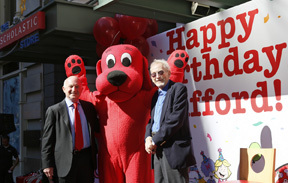 ‘Adventures with Clifford The Big Red Dog Traveling Exhibit’ debuted at the Minnesota Children’s Museum. Henry Winkler received a Daytime Emmy Award for “Outstanding Performer in an Animated Series” for his role as Norville on the Clifford’s Puppy Days™ TV series. 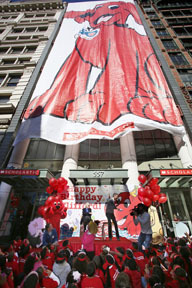 Scholastic Media releases the first Clifford app, Clifford BE BIG with Words, for iPhone™ and iPod touch®. 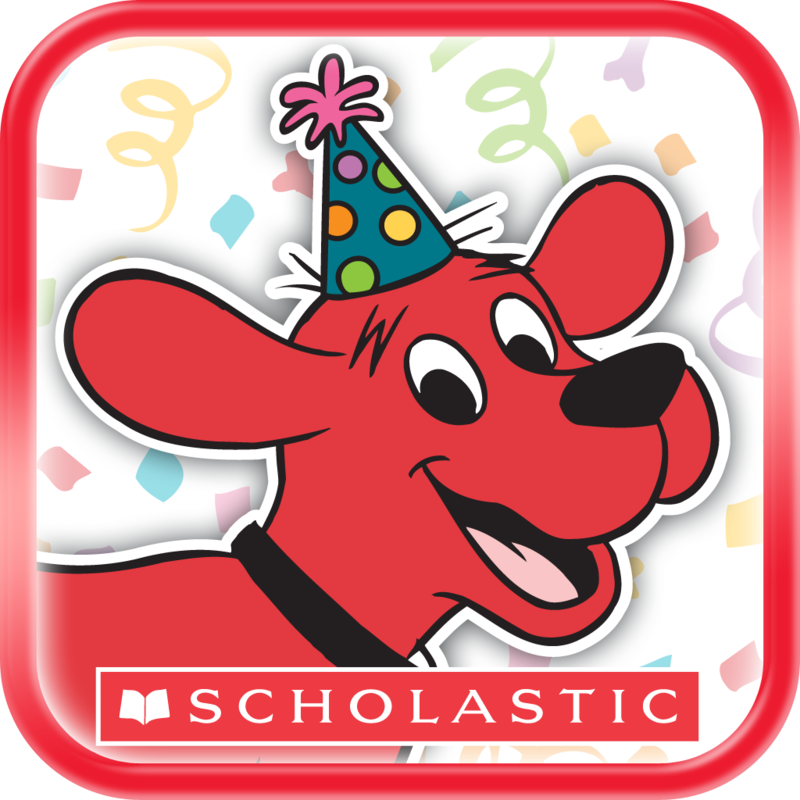 Scholastic Media released the first Clifford TOUCH & TILT app, GO, CLIFFORD, GO!, for iPhone™ and iPod touch®.